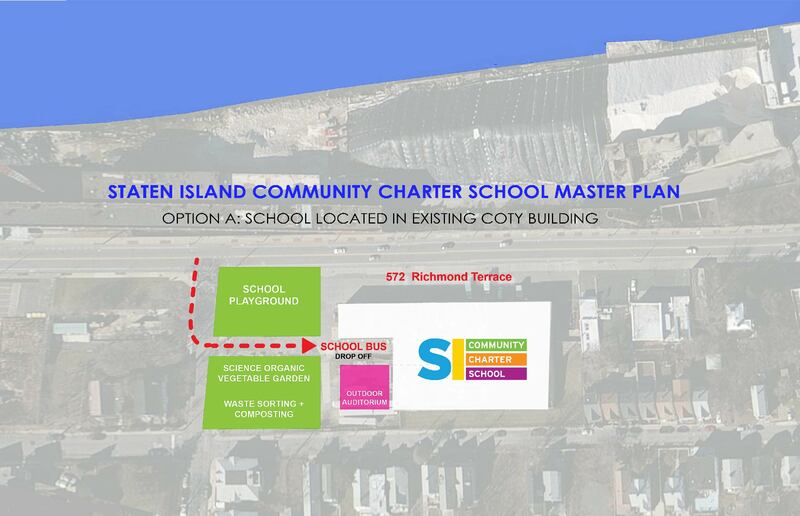 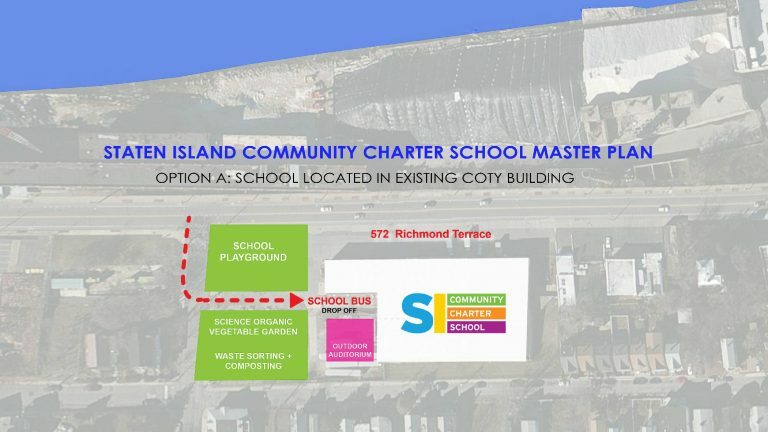 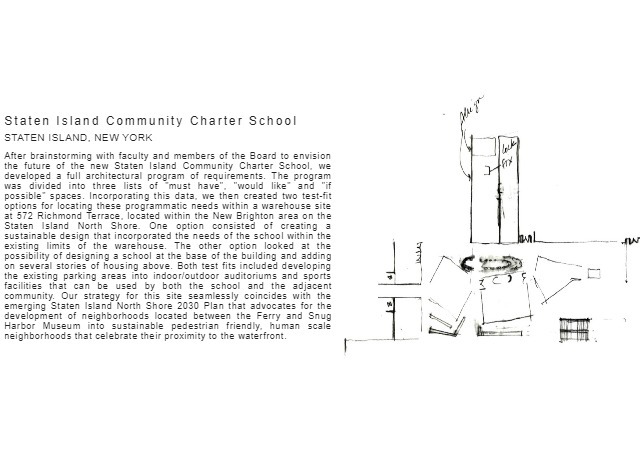 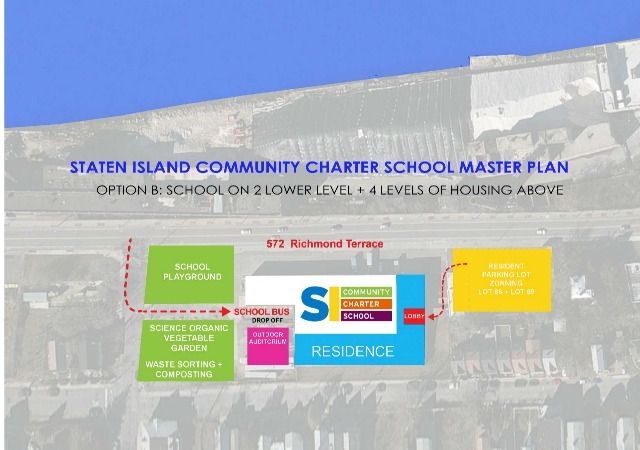 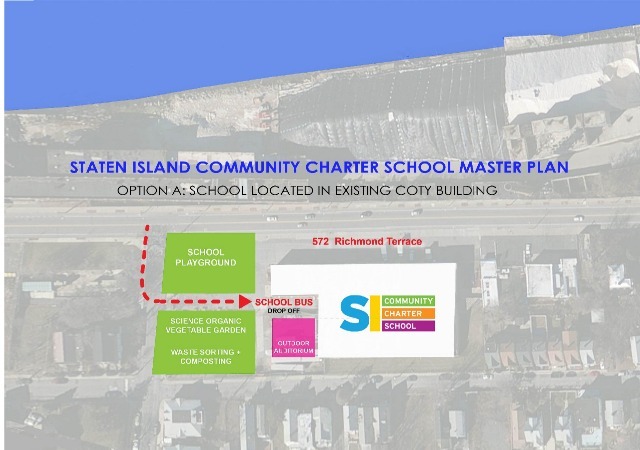 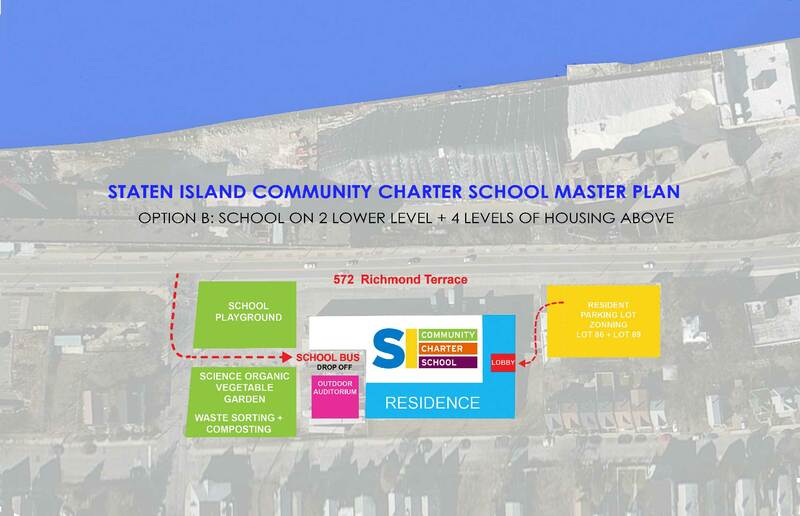 After brainstorming with faculty and members of the Board to envision the future of the new Staten Island Community Charter School, we developed a full architectural program of requirements. 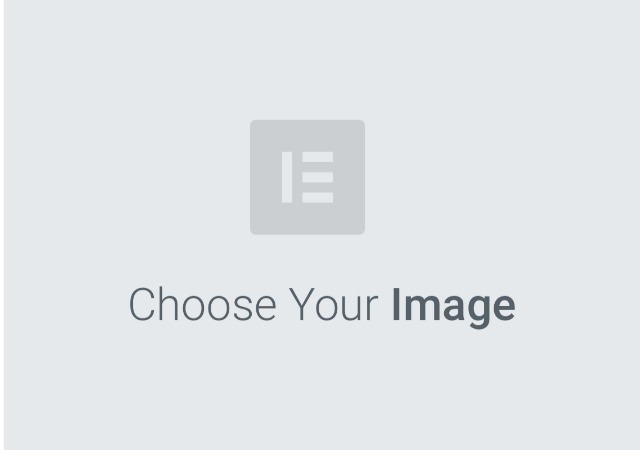 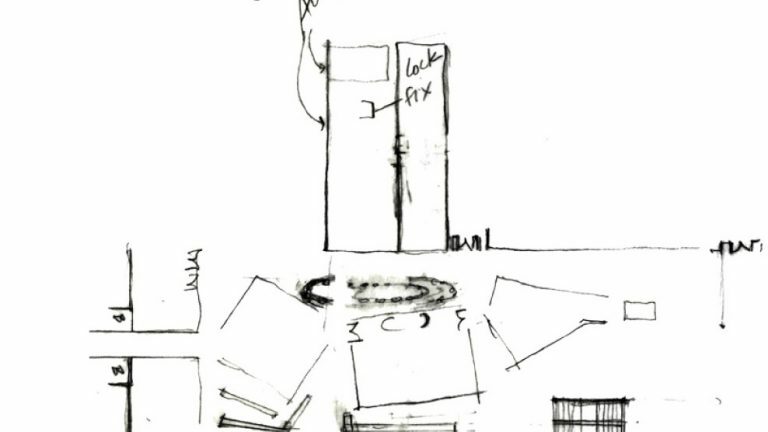 The program was divided into three lists of “must have”, “would like” and “if possible” spaces. 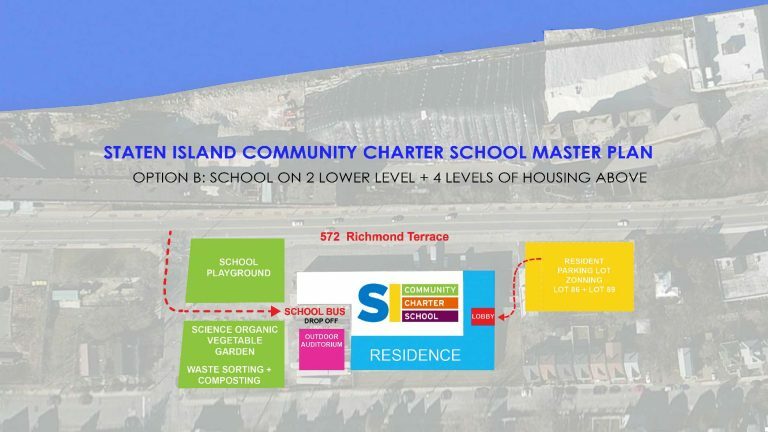 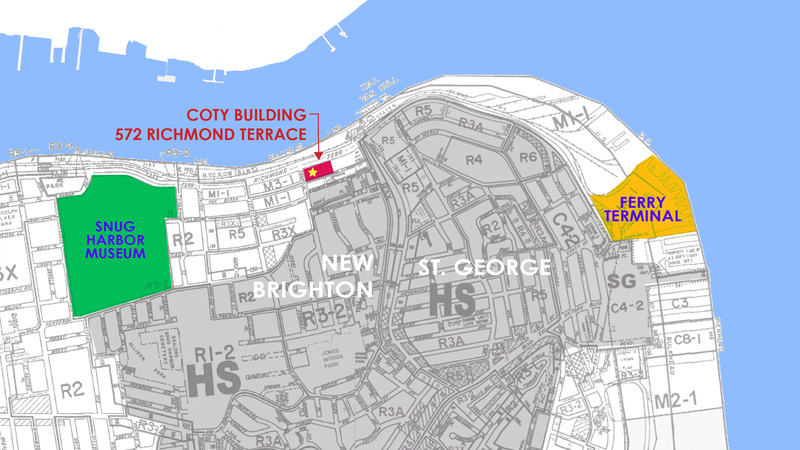 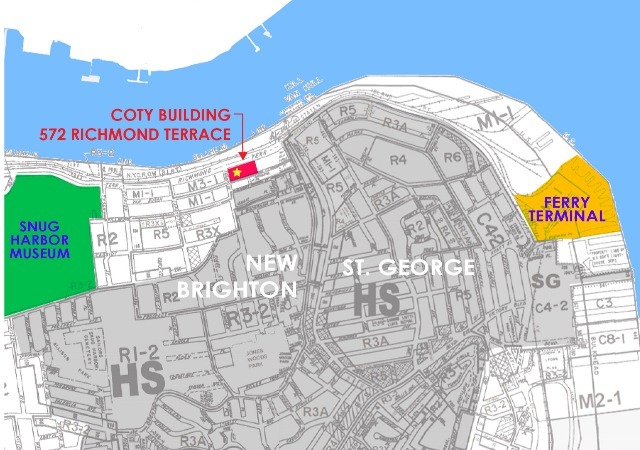 Incorporating this data, we then created two test-fit options for locating these programmatic needs within a warehouse site at 572 Richmond Terrace, located within the New Brighton area on the Staten Island North Shore. 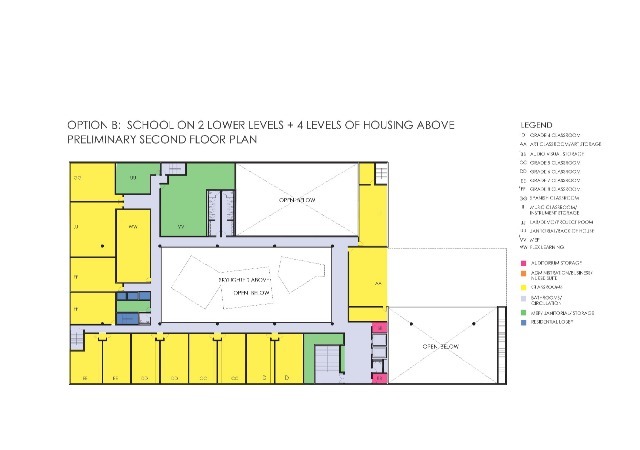 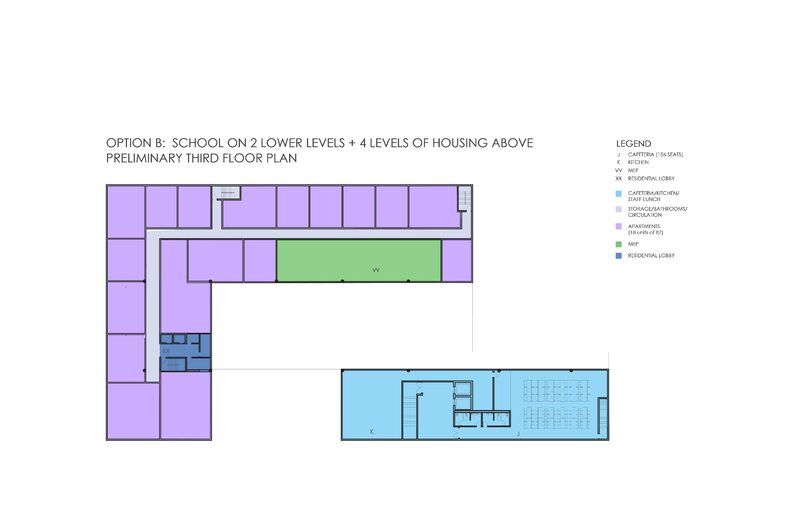 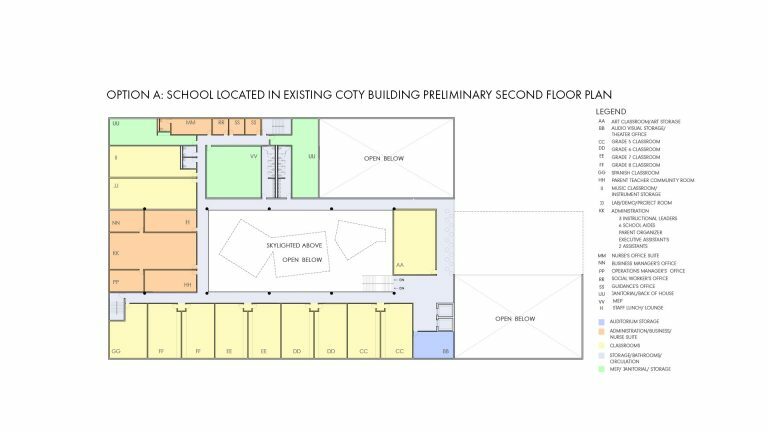 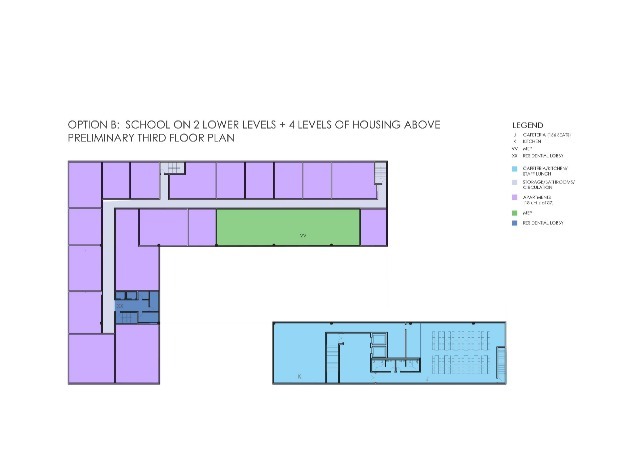 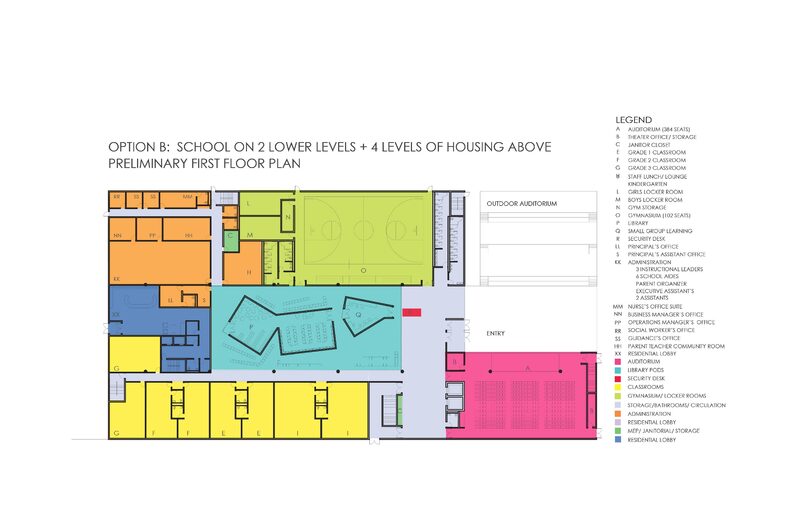 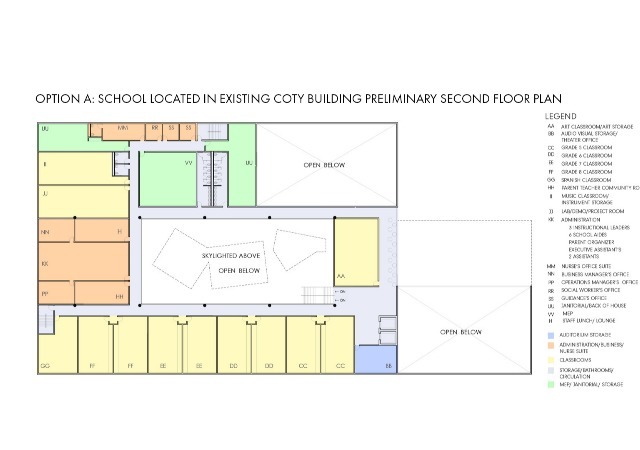 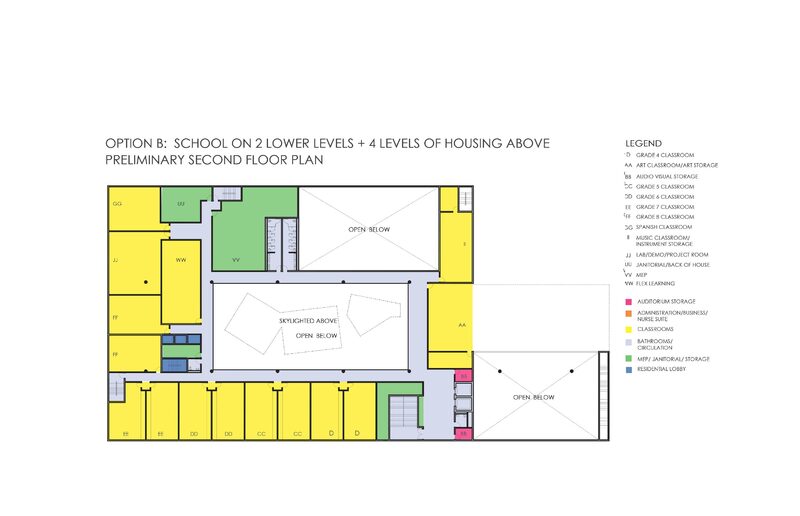 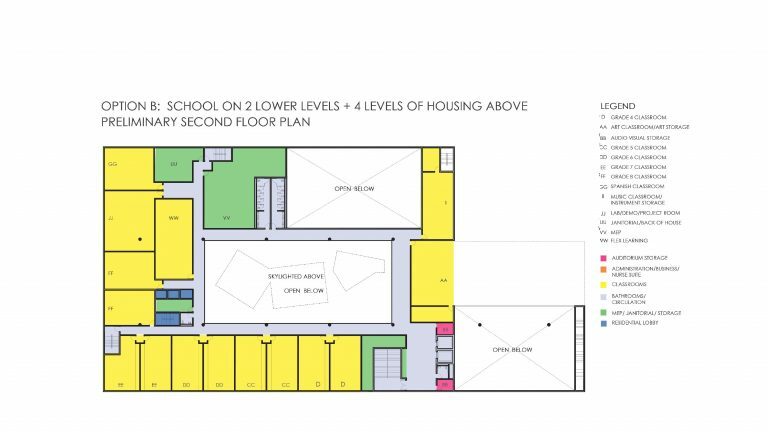 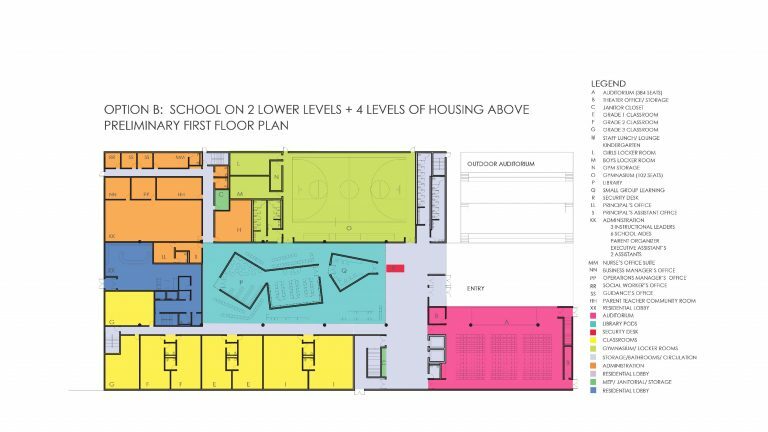 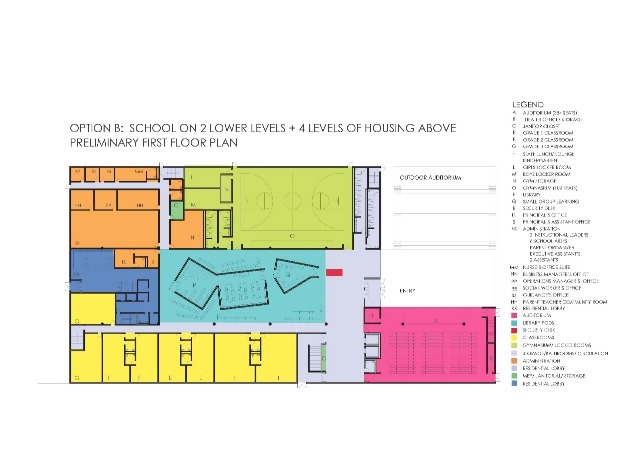 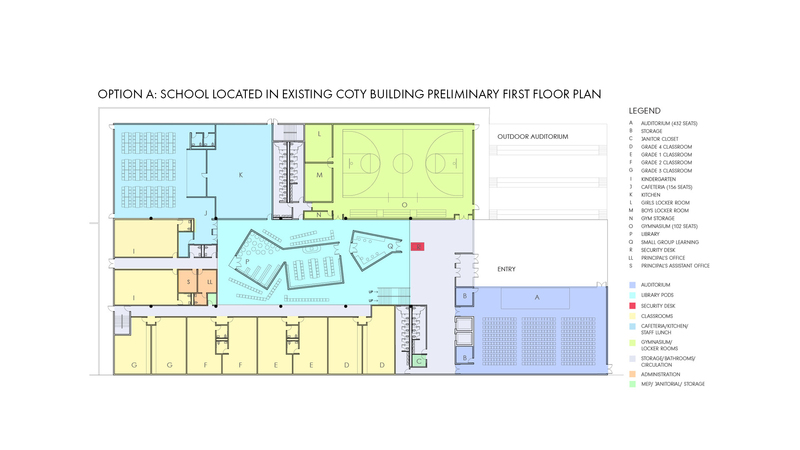 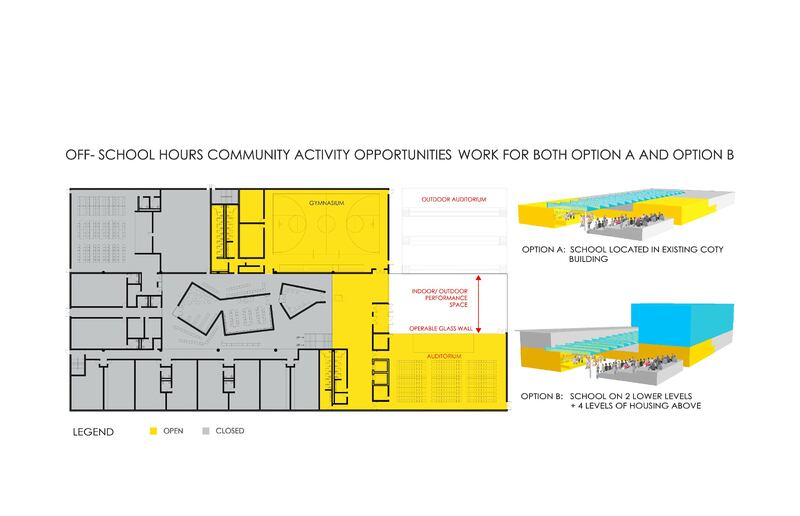 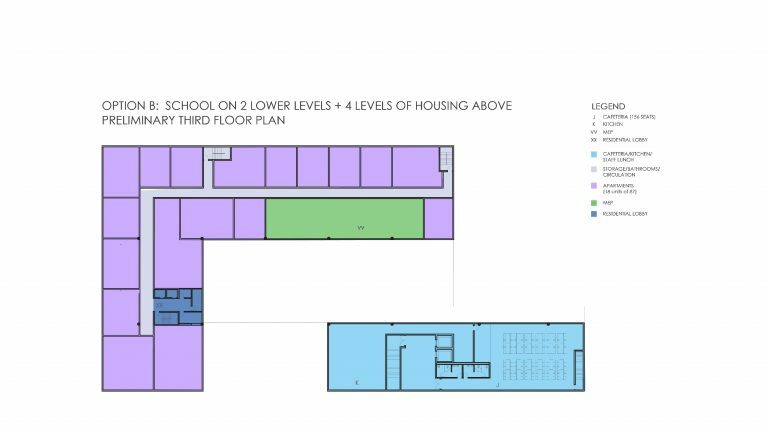 One option consisted of creating a sustainable design that incorporated the needs of the school within the existing limits of the warehouse. 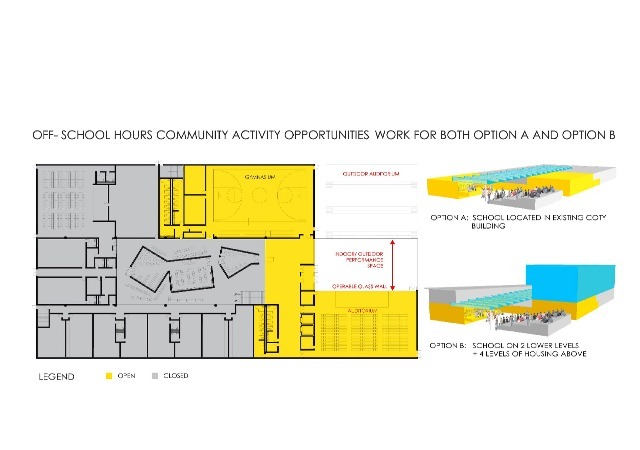 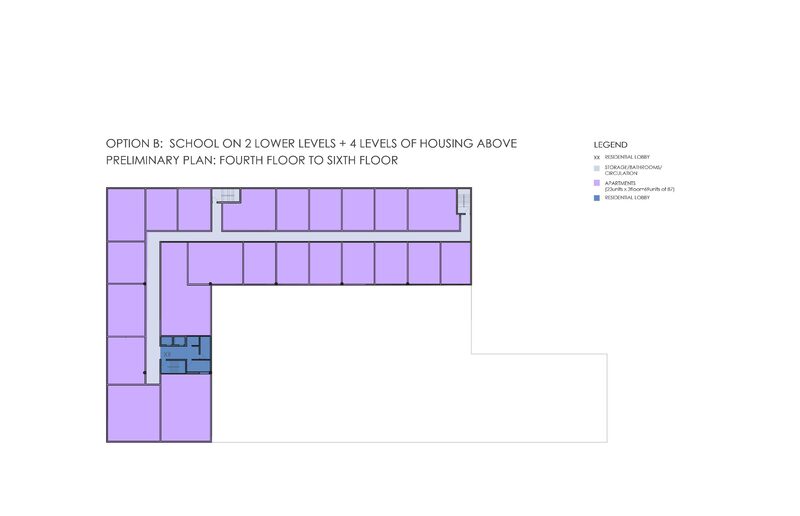 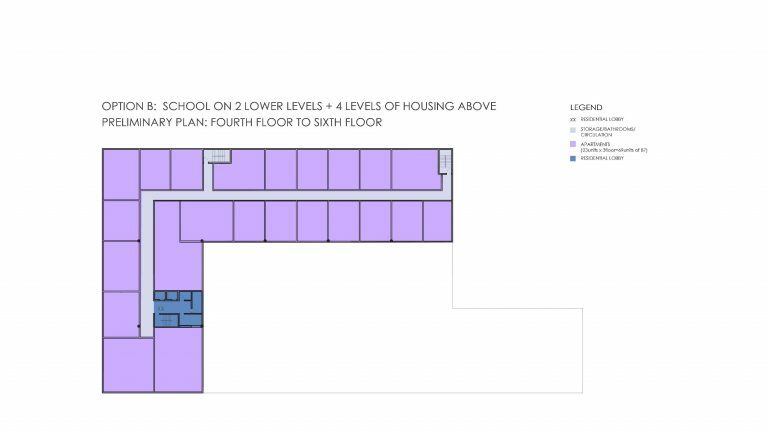 The other option looked at the possibility of designing a school at the base of the building and adding on several stories of housing above. 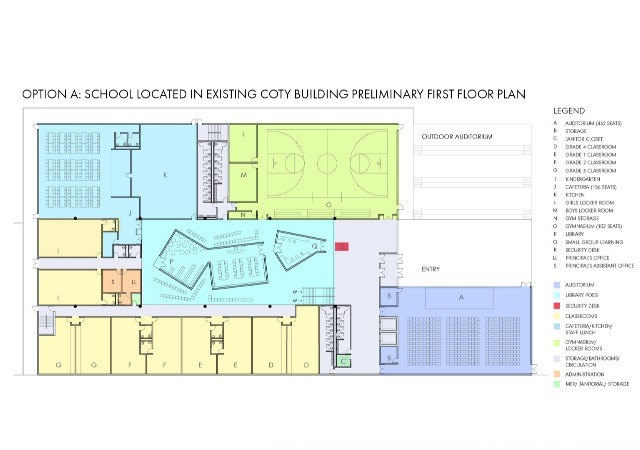 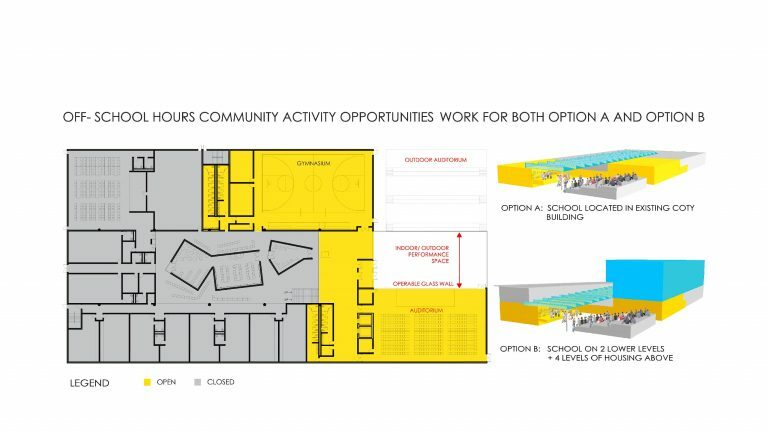 Both test fits included developing the existing parking areas into indoor/outdoor auditoriums and sports facilities that can be used by both the school and the adjacent community. 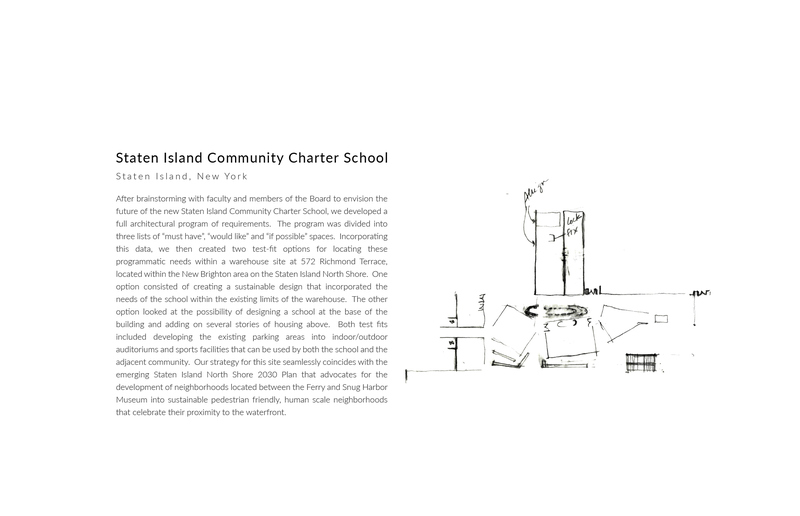 Our strategy for this site seamlessly coincides with the emerging Staten Island North Shore 2030 Plan that advocates for the development of neighborhoods located between the Ferry and Snug Harbor Museum into sustainable pedestrian friendly, human scale neighborhoods that celebrate their proximity to the waterfront.